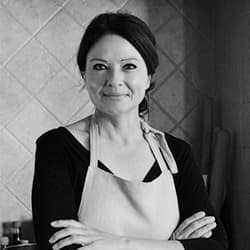 As part of an informal research for a recent food blogger’s challenge, I conducted a quick Q & A with kids to find out what’s their all time favourite food. No surprises here. Pasta won hands down. With this in mind I think it’s time for another pasta recipe. 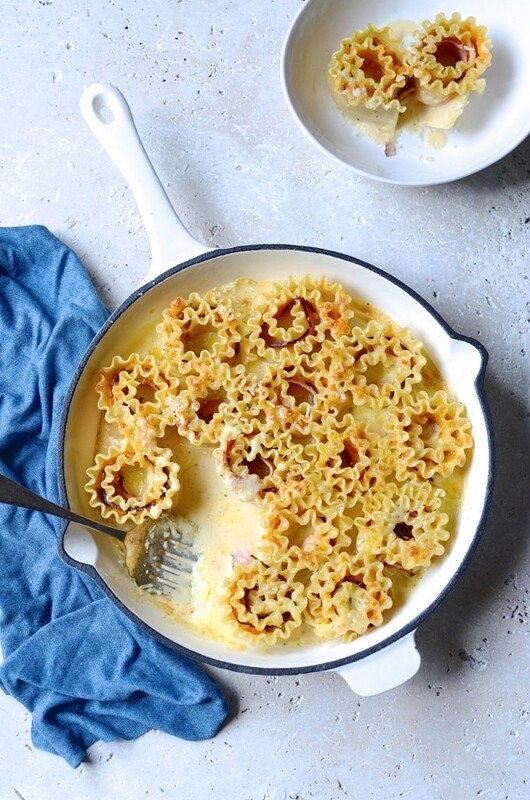 Tonight we’re rose-rolling it with these smoked ham and cheese pasta roll ups, ’cause any pasta worth its wheat should have more not less, cheesiness! 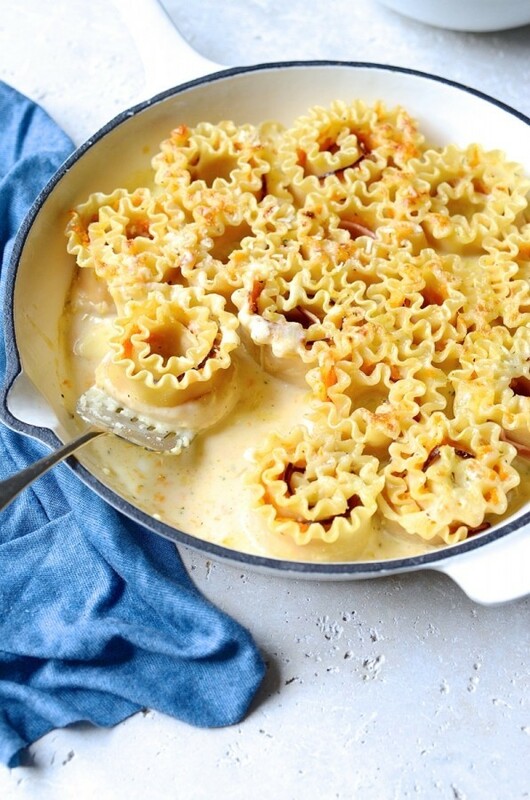 Wrapped snugly between frilly edged pasta sheets is a layer of roast butternut and smoked country ham, all neatly nestled side by side in a creamy cheese sauce. Could there be anything more comforting? As with most recipes, even pasta, I try to include vegetables. My pasta roll ups get the roast butternut treatment. Butternut adds great flavour to the dish, its sweetness providing a subtle contrast to the saltiness of smoked ham. 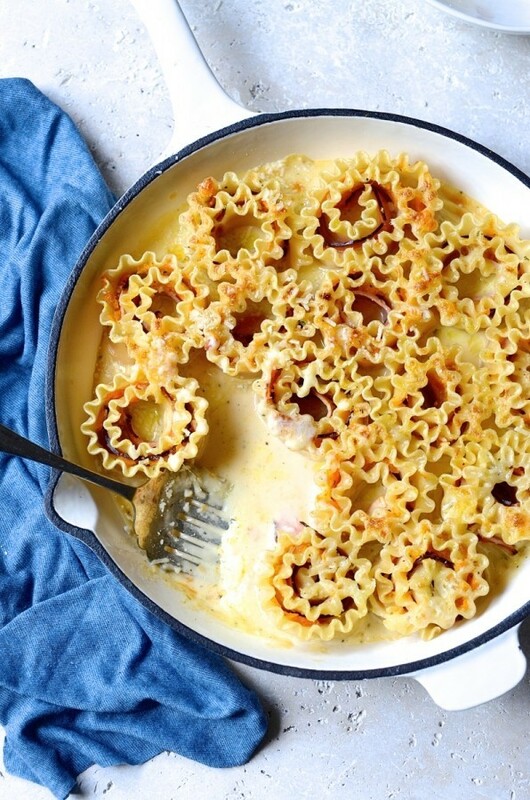 To make the sauce I’ve used my béchamel recipe from this roast cauliflower mac and cheese post and added heaps more cheese to make it seriously cheesy. Why not? For the roll ups to hold their shape, durum wheat pasta is ideal. I pre-cook the pasta sheets in well salted water until al dente. It needs to be firm enough to roll but just shy of completely cooked through. I’ve used lacy-edged Rummo Lasagna Riccia pasta sheets, which I cut in half lengthways once cooked. Straight edged pasta sheets work equally well but are without the fanciful frills. 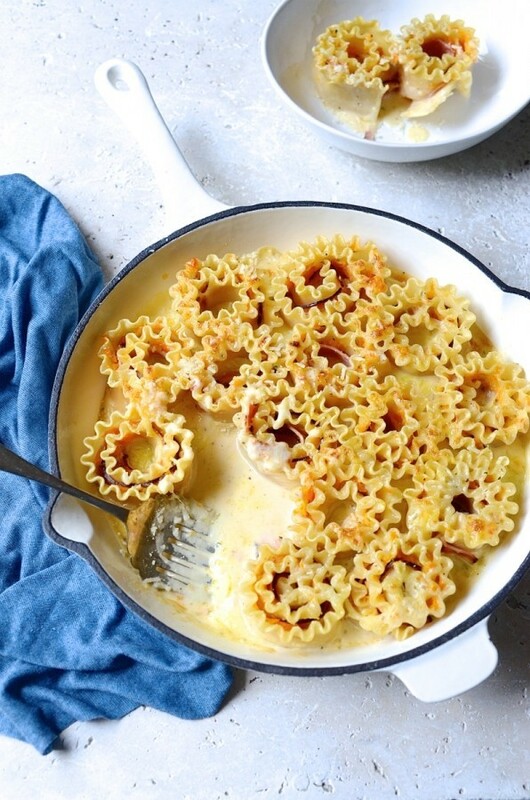 All this happiness is then baked with mozzarella and sharp pecorino until the cheese is blistered and golden. Carb cravings satiated! Preheat the oven to 200º C. Line and grease a baking sheet. Arrange the butternut on the tray, drizzle with olive oil and season with salt and freshly ground black pepper. Roast for about 4o minutes until fork tender and golden on the edges. This looks amazing, Di. Delicious and pretty. Holy cow, these are perfection! So simple, so delicious, and so darn cute too! Totally trying these soon- thanks for sharing!! Makes eating pasta even more fun! You’re welcome Karly. 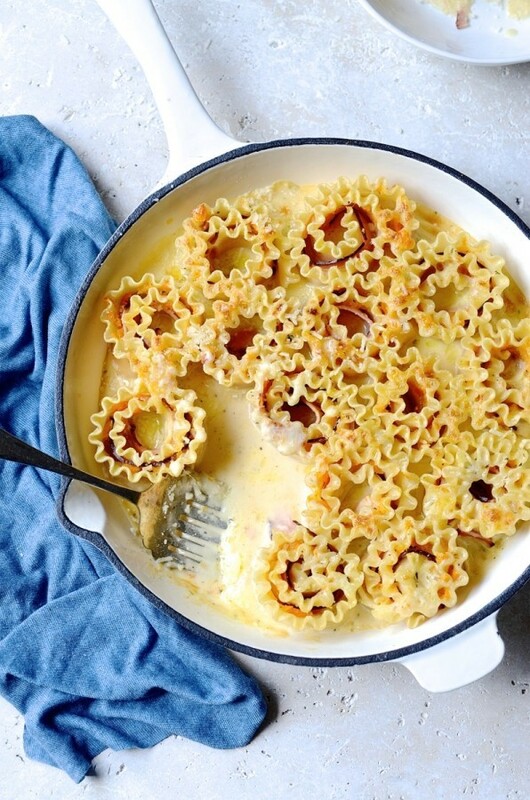 The frilly edged pasta sheets make the whole process super simple. The next time I make these I’ll be filling them with kale, ricotta and pine nuts. Yum! Thanks Marie. It’s real family favourite comfort food.